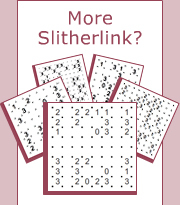 The value of each clue equals the number of links surrounding it. Empty squares may be surrounded by any number of links. When completed, the solution forms a single continuous loop with no crossings or branches.